When I think of button downs I instantly think of starchy pieces for work that gape at the chest and constrict your arms. Is that just me and my body shape, or is that a common button-down affliction across the world? The best luck I have with button downs that are comfortable and appropriately fitted is at the Gap where button downs are soft, blousy without being baggy, and covered in the most awesome prints. Think teacups, cats, elephants, and arrows. Three of the blouses below are gap and the final is actually Forever21, just in a cropped version (of course, F21, of course). I don't think button-downs need to be associated with the working world as they are truly so versatile and critical pieces for fall layering. There's a great range of ways you can wear your printed button downs, three of which are casual weekend wear below. As a first retort to button-downs as office-wear, I wore my arrow-print button down on a hiking trip. This soft Gap button down was very breathable, but provided protection from the elements in a chic way. And of course, don't forget layering. This polka dot button down has been under every single sweater I've owned and it makes a great understated mixing piece. The polka dots are eye-catching but not too wild for a conservative occasion or a lazy day. I love this top on its own as well as it's so classic. I think the outfit below might be one of my favorite button-down adventures, and certainly highlights my favorite cat-print button. Tied over a dress and cuffed, button downs can go totally weekend-outing appropriate. I like the pairing of bright colors here, but you could tone it down visually with like-colors. 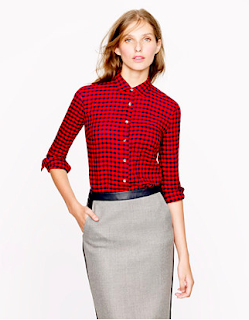 Finally, the standard example of a button down (for work) gets a print mixing twist. 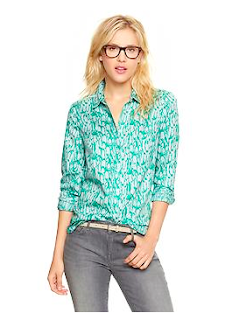 This cacti button down from Forever21 is a bit ridiculous, but somehow the buttons plus collar make it work for work. In order to enforce the idea that I wasn't just wearing a western costume, I kept it in all black and white and mixed it with a formal lace pencil skirt. 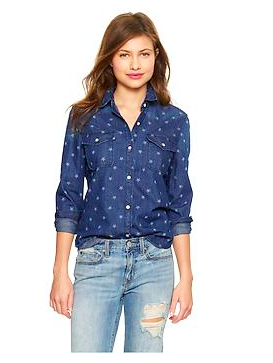 Find Gap coupons here for up to 5% cash back and J.Crew coupons here! Love the layered sweater over the polka dot blouse! 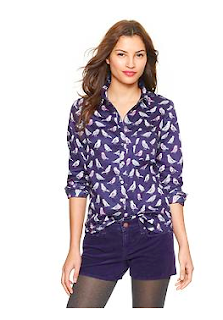 Printed button downs are such a staple piece. Love the different ways you've styled them here. I wear button downs more than I ever thought I would! They are just so comfortable. If anything, I associate them with casual because I just wear them so much! Love button downs~especially when form-fitting! love all of your looks. i used to dislike buttondowns due to the fit, but now i've found some great ones that are cute but still comfy. Adorable outfit! Love how you styled these items! I have had great luck lately with Gap button downs too! Love all these looks! this is something I wish I had more of - you look fab my dear! I can't believe I don't have a printed button down,you look great in each of these outfits by the way! 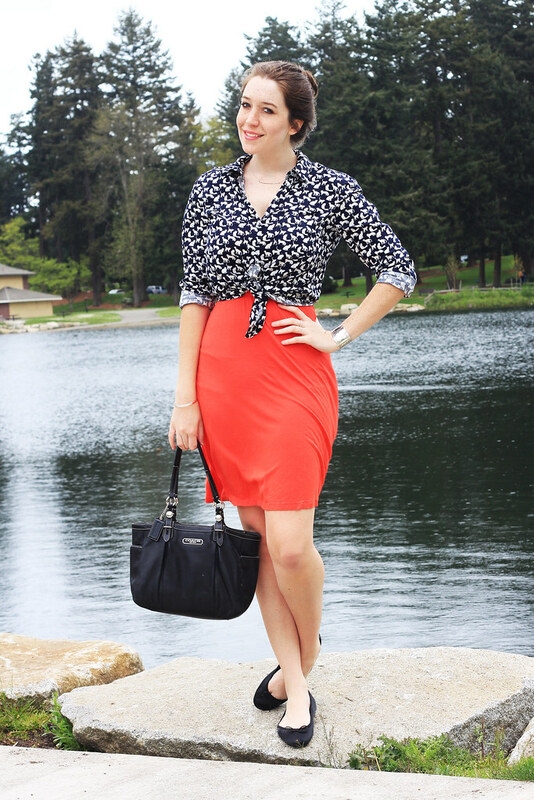 Loving the printed blouses & you rock them so well! 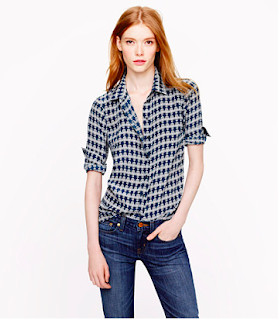 I absolutely love button-downs - they're my uniform of choice, paired with skinny jeans. Loved all the way you wore them here! Loving your b/w print mixing! Adorable tops.